The day you will visit this salon, you will be shocked. Why? This very-visited salon is one of the best in Edinburgh, standing out by its impressive decor, friendly staff and professional services. It will conquer you from the beginning. Whether you need a massage, tanning or other beauty treatments, the staff will take great care of your wishes and make them a reality. For a lady, a beauty salon is the second home, this is why choosing the right one can be a stiff decision. Edinburgh is a city with many opportunities, especially when it comes to beauty. 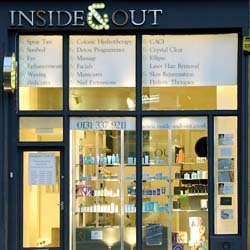 One of the best salons in Edinburgh is Beauty Quarter. Whether you need waxing, tanning, eyelash extension or anti-cellulite massages, here you will find a professional team, ready to come to your aid. This is one of the most famous spas, not only in Edinburgh but in the entire Scotland. The first thing the team will tell you about Floatarium is 'a sanctuary where people come to release themselves from the stress and the daily worries'. Edinburgh Floatarium has been highly appreciated for its professional services at reasonable prices, for over 23 years. Do you need a modern haircut, or a special hair treatment? Then all you have to do is visit Urban Edinburgh. Everything seems easier with a professional staff ready to handle every weird wish you have related to your hairstyle. If you do not really know what you want, there is no reason to worry. The team will help you decide and choose a haircut or a hair color that will suit you the best.